I am considering buying a Renault Captur. I cover under 5,000 miles a year, about 1,000 of these towing a small caravan. The 120HP petrol version has a torque of 205 and the 90HP diesel has a torque of 220. Have there been any problems with the DPFs on the Renault and would you opt for the diesel or petrol version? It's a well-known 1.5 belt cam diesel engine and there must be ten million of them in various vehicles throughout Europe. One reader did 105,000 miles in her Captur 1.5DCI with no trouble before trading it in for another. But it’s not immune to DPF problems on low mileage use so I'd go for the 1.2 TCe 120 manual. 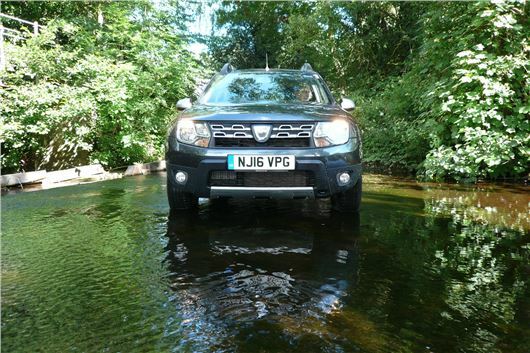 You can also get that engine for less money in the Dacia Duster where it is rated 125PS and 205Nm. This is relatively low geared in 1st so good for pulling away and if you don't mind the lack of status is a brilliant buy: /road-tests/dacia/dacia-duster-laureate-tce-125-2016-road-test/ Even with 4WD it's less than the Captur. Same mantra. Oil and filter service and a proper check-up every year or every 10k miles, whichever comes first. One of mine doesn't do 2,500 miles a year. But £250 reads a bit stiff to me. Trident Honda of Ottershaw did the first service of my HR-V last month and it was only £215 including VAT. For many years I have had a somewhat dodgy back and knees so that I find it quite difficult to get in and out of a regular car. I thought that I had solved the problem 15 years ago by getting a Merc A140. Lovely little car but, with the unrepaired potholes that we now suffer, it was too close to the ground and got damaged too often. For the last ten years I have driven a Freelander 2. Same class of vehicle, but much larger. My wife would like me to get something smaller but still with the high driving position. What would you recommend? My pal, who has been living in Switzerland these past 6 years has returned to the UK. He is about to buy a new motorcar. Comparing new VW Golf prices with equivalent new BMW 1 Series prices he was astonished to find the VW prices somewhat higher than the equivalent BMW. Also, it seems to me (in my ignorance), the second-hand prices of VW Golfs are higher than the equivalent BMW prices: another surprise. The VW Golf 1.4 TSI ACT 150 PS strikes me a very decent motor car. It gives performance near to that of a 2003-2007 Golf GTi, which is astonishing (and tempting too) But the BMW 125i hatch) is even more tempting. The current belt cam 1.4TSI 150ACT is a lovely engine to drive and (so far) seems to be problem free except for the need for a new timing belt, tensioner and waterpump every 4 years. Too new for any reliability issues to emerge on BMW’s new modular chain cam 1.5 3-cylinder and 2.0 4-cylinder engines. My advocating of chain cam engines got kicked in the teeth (literally) by the manufacturer of the chains pushing his link stamping tools too far, leading to the completely unpredictable failure of VAG timing chains. You might have got one with links stamped by a new tool. Or you might have got one with links stamped by a worn out tool that was still being used before it was finally replaced. My wife drives a 1998 Nissan Micra CVT Auto as she passed her test driving on auto only. Many of the autoboxes produced now are listed as semi-auto, such as a FIAT Dualogic. Is she permitted to drive this type of auto with her current licence? Yes. Basically, anything with two pedals is OK. But the cheap solution of robotised manuals is now on the way out. Honda and Toyota have abandoned them and Peugeot/Citroen is in the process of doing so. I have a Volvo XC60 R-design automatic that will be 6 years old in November and will have done about 64,000 miles by then. It is covered by a Telegraph Warranty which states it must be serviced according to the manufacturer's servicing schedule. Online it appears that the cambelt needs renewal at either 108,000 miles or 10 years, whichever comes first. My local Volvo dealer says it should be changed at 6 years, but another Volvo dealer I asked said that it would be fine to leave it until 108,000 miles or 10 years. Who is correct, and what should I do please? I shall probably keep the car until early next Summer. Unless the ‘other’ Volvo dealer is prepared to guarantee his words in writing, it needs changing now, without further delay, plus tensioner, plus waterpump. My mowers need refuelling this summer during jobs that I have normally done without refuelling. Has the formulation of unleaded petrol changed? My Jaguar S-Type 3-litre V6 Sport Air Conditioning recently failed on the M25 when it was 33 degrees. I took it into a technician who diagnosed that the gas was at half pressure. He attached it to a machine that tested for leaks and then refilled it. Since then it has failed again, although it does come on occasionally. He is at a loss to diagnose the problem as he says the compressor must be OK. Have you any thoughts as to a solution to the fault? It might be leaking somewhere. Maybe the condenser. Maybe one of the joints in the system. Or the electromagnetic clutch of the compressor might be failing. This FAQ tells you quite a lot and gives you some a/c specialists: /faq/air-conditioning/ Tip from RP who had the same problem 3 years ago: if the aircon packs up, despite a re-gas and no obvious reason, it's probably due to intermittent failure of the relay solenoid switch that can be replaced inexpensively. My VW Tiguan 2.0 goes for its first MoT next week. The VW garage wants to carry out the software update at the same time. But should I allow this? I cannot find anything written by an independent body that says the software update will not be detrimental to the car's performance, economy or future maintenance cost. The Italian consumer group 'Altroconsumo' questions the modification and says it may cause the car's Diesel Particulate Filter to require frequent replacement at a high cost. My car runs well, so must I comply with VW wishes and risk this software update? Entirely up to you. I have ten reports of the modification causing an engine rattle in Tiguan 2.0TDIs and the dealers seem to be puzzled as to what to do. It could be that even if you don't get it done now, they will sneakily do it when the car is in for a service. I suspect the modification turns down the fuelling and have suggested to owners that the try running on higher cetane superdiesel that gives a better burn at low revs and might eliminate the rattle. About two months ago I experienced power loss problems with my Golf 1.4TSI (160PS) and following repair I have been in discussion with VW and the dealership concerning cost contribution. The car was purchased new from the dealership, has full service history, is around six and a half years old and up to the repair date had covered 28,760 miles. A diagnostics test revealed a problem in number one cylinder, which proved to be the edge of the piston’s compression ring breaking away. Consequently, in accordance with recommended practice, all four pistons were replaced. Fortunately, there was no scarring on the cylinder wall. My friend purchased the same model in May 2009 and within the warranty period experienced similar engine problems having covered around 30,000 miles. In his case VW instructed that the engine be replaced under warranty. My minimal research on your Internet forum suggests that VW was aware of problems with the 1.4TSI engine, but did not recall. The car is regularly serviced, is driven in an appropriate manner and basically this problem should not occur in normal circumstances. I have received a contribution towards the repair cost of about a third: £1,000, but have failed to clarify if this has come from the dealership, as a loyalty goodwill gesture, or from VW. In any event, if VW builds a car with substandard parts liable to easily fail, then I think they should bear responsibility. They maintain that a suitable recompense has been made due to the age of the vehicle, so I am being penalised for being a low mileage driver. I think that VW should take each case on merit, but does this suggest that they have drawn a line on this engine, due to the claim record for this type of problem? If you think that VW have acted inequitably, how should I proceed as VW Customer Care and its Executive Department considers that it has contributed appropriately? I have never experienced this difficulty on a supposedly reliable car in all the almost forty years that I have been buying new vehicles. You will appreciate that at present I am very dissatisfied with VW’s response.